Marketo is one of the biggest names in marketing software, offering a wide range of solutions for businesses of all sizes – from marketing automation to lead management, email marketing, analytics and more. If you’re looking to ramp up your marketing efforts with some solid technology, Marketo will undoubtedly be on your list of options. However, it’s not the cheapest piece of software out there and you really need to know what you’re buying into before you sign up. In this review, we’re going to look at the pros and cons of Marketo: what it does well, what it doesn’t and how much you can expect to pay for it. Before we delve into the details, let’s take a quick look at the pros and cons of using Marketo. I’m basing these on our experience with using the platform and comparing it to alternatives such as HubSpot, ActiveCampaign and Infusionsoft. Extensive marketing solutions: Marketo is a comprehensive marketing suite covering all the essentials modern brands need. Flexible: Marketo offers separate products for marketing automation, email, analytics, etc. so you can pay for what you need and forget about the rest. Usability: By separating its platform into multiple products, Marketo is easier to use than less flexible, complex marketing suites. Quick and easy setup: For a marketing suite as comprehensive as this, Marketo is impressively fast and easy to set up. Pricing: Marketo has never been an affordable option but prices have increased rapidly over the years – and the company isn’t particularly transparent about the full cost of its platform. No CRM: Marketo doesn’t have a built-in CRM although it does integrate with a wide range of customer relationship management platforms. Poor landing page & form builder: This is one area where Marketo still lags behind industry leaders such as Unbounce and Leadformly. 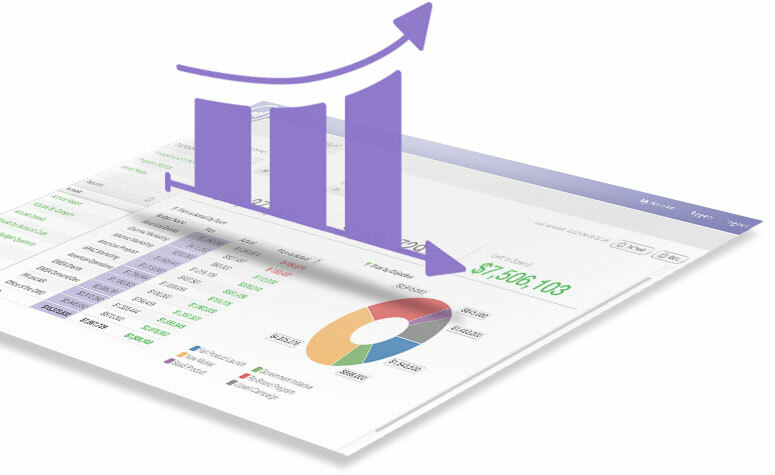 Analytics & reporting: A lot of Marketo users complain that its analytics and reporting features are lacking behind the competition. Usability: While the overall experience is generally good, using some of the specific tools in Marketo can be frustrating. Speed: A lot of Marketo customers also complain that the software can be sluggish at times and this is consistent with our experiences. Make no mistake, Marketo is a true leader in marketing software but there are some issues, as always. For us, the cost of Marketo is out of touch with today’s alternatives and there are too many issues with small (but important) tools to justify such a hefty price tag. Marketo doesn’t any pricing on its website and you’ll need to call up its sales team to get a quote. For some reason, it still decides to separate plans into three categories: Basic, Pro and Elite, even though pricing is meant to be based on the number of leads you have. Instead, pricing is based on the plan and the number of leads on your account – something that’s easier to understand with a table. Let’s be clear, those prices may have changed since we used Marketo and you should take them as a rough guide. Those are the monthly fees you’ll be paying on an annual contract and this could save anywhere between $250 to $2,500 depending on which plan you’re signed up to. These fees are comparable with many of the other enterprise marketing software options on the market but there’s no entry-level option for smaller businesses so this isn’t something you can really use to scale your business from the ground up. Either way, Marketo is one of the more expensive options, even at the enterprise level. What can you do with Marketo? Marketo divides its platform into a number of different apps, allowing you to essentially use the features you need without the other getting in your way. This is important, too, because enterprise platforms like this can drown you in features and dashboards, which makes it difficult to navigate and use. Marketo does a good job of splitting its suite into dedicated apps so you can easily get to what you need, when you need it. Marketing automation: Create, automate and measure campaigns across channels. Email marketing: Engage customers with relevant conversations in minutes. Mobile marketing: Communicate with customers wherever they are. Digital ads: Target the right customers with personalized display ads. with customers on your website. Marketing analytics: Measure campaigns, prove their impact and improve results. Content AI: Give customers the content they want automatically. Marketo Sales Engage: Give your sales reps more power to identify the most valuable leads and keep them engaged. That gives you solid coverage across all of your marketing strategies and plenty of tools to automate processes between them. Something that is missing, though, is a CRM and this means you’ll need to integrate with a third-party platform for this. Marketo does integrate nicely with leading CRM platforms but these don’t come for free. Other frustrations we found with Marketo were the poor landing page and form builders. Analytics and reporting is another weak point and, despite dividing the platform into individual apps, the UX of specific tools could be improved. How does Marketo compare to the competition? Marketo’s feature list is about as good as any other enterprise marketing software provider and I’ve given you our insights on its strengths and weaknesses. But now I want to quickly compare it against two other marketing platforms we tried out – one of which became our software of choice for the past five years. The most obvious difference is that HubSpot comes with a CRM and it also has entry-level options for smaller businesses. Aside from the CRM, HubSpot covers you for email marketing, social media, content management and automation. Pricing isn’t all that different once you get to the more advanced HubSpot packages but its entry-level pricing means you can scale your business – just be aware that your costs are going to increase drastically as the number of leads you’re dealing with increases. Overall, the user experience of HubSpot is fantastic and reporting is more extensive, too. One of the best things about HubSpot is its customer support and the huge range of content and documentation the company has created to help its customers get the best from its software. After trying Marketo and HubSpot we turned to ActiveCampaign, an option that had escaped our attention. Unlike the other providers we’d looked at, ActiveCampaign doesn’t position itself as an enterprise platform. While it does have an enterprise solution, ActiveCampaign is designed specifically for smaller businesses that want to grow. This is reflected in the pricing and ActiveCampaign has an affordable entry-point for small businesses. However, unlike HubSpot and many other providers, the price increases as your contact list grows are far more reasonable. This is a key reason we recommend it to smaller brands looking to automate growth – the platform will still be cost-effective in five years’ time. ActiveCampaign’s automation features and CRM are up there with the best, too. It’s not as feature-rich as Marketo but with a few integrations you’re able to do just as much at a fraction of the cost – and the overall usability is better. Marketo packs industry-leading features into a platform that almost delivers everything enterprise brands need from marketing software. The lack of a CRM is frustrating but this is still one of the top option for enterprise businesses. If you’re not yet in that enterprise category, though, Marketo will be out of your budget range. This is where options like HubSpot and ActiveCampaign start to take the lead, thanks to their modest entry-point pricing that allows smaller businesses to get on board and grow. All that said, we’ve been using ActiveCampaign for five years now and we can tell you the enterprise version offers 95% of everything a brand could need from marketing software – including a CRM. All you need is a few additional integrations and you’ll still probably save money compared to Marketo.